Google Pixel 3 only hit shelves in the UK earlier this month. As such, we didn't really think there would be any serious deals on the flagship handset this Cyber Monday. But boy, we were wrong. 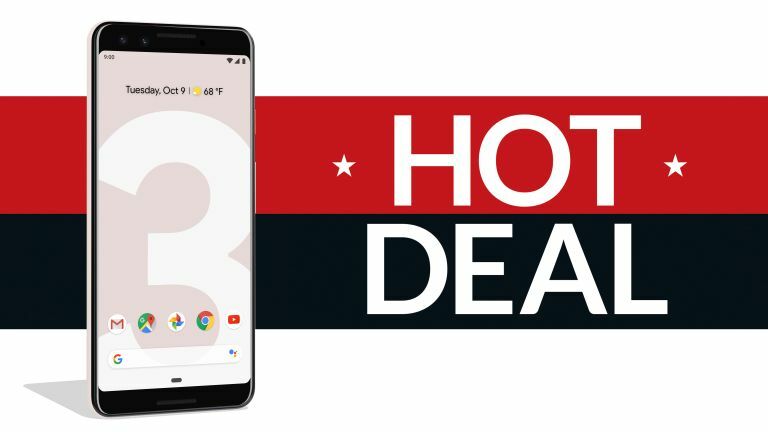 Mobile Phones Direct has unleashed a terrifyingly good deal on the Pixel 3. For £26 a month, you'll get the latest generation Google handset, alongside unlimited text messages, unlimited calls, and 100GB of 4G mobile data. The 24-month contract runs on Vodafone, which means you'll also get access to Vodafone Global roaming, which allows phone owners to take your allowance of minutes, text messages and mobile data in 110 destinations worldwide, including Spain, France, United States, Canada, Australia, and more. By the end of the contract, you'll have paid £624 in total. That's £155 less than the SIM-free handset when bought direct from Google. And even then you would still have to cough-up for your minutes, texts and mobile data. The mind-boggling amount of savings on offer in this latest Cyber Monday deal singlehandedly dispel the myth that it's always cheaper to buy your handset SIM-free and then negotiate a SIM-only deal with your favourite mobile network. So, how does this too-good-to-be-true deal actually work? Well, you have to pay £36 a month for the next two years, but the retailer is offering a frankly ridiculous £240 cashback on this contract making the effective monthly spend only £26 a month. There's also nothing to pay upfront. For a Google Pixel 3. With 100GB of data. We can't quite believe it either! There is one caveat to note - you have to claim back the cashback in five instalments over the course of the contract. But as long as you're diligent and diarise when to redeem, you'll be bagging a true bargain of a Google Pixel 3 deal. Unfortunately, the deals ends at midnight on Cyber Monday, so you haven't got long left to nab this blockbuster Pixel 3 deal. If you're not a fan of Vodafone, manually claiming cashback, or need more than 100GB of 4G mobile data from your monthly plan – why not check out our interactive chart of the latest contract prices for the Google Pixel 3 below.